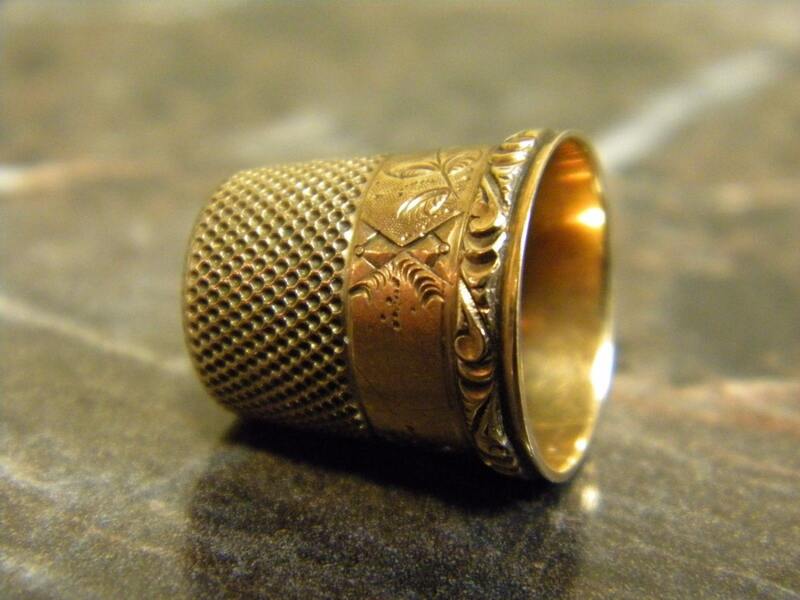 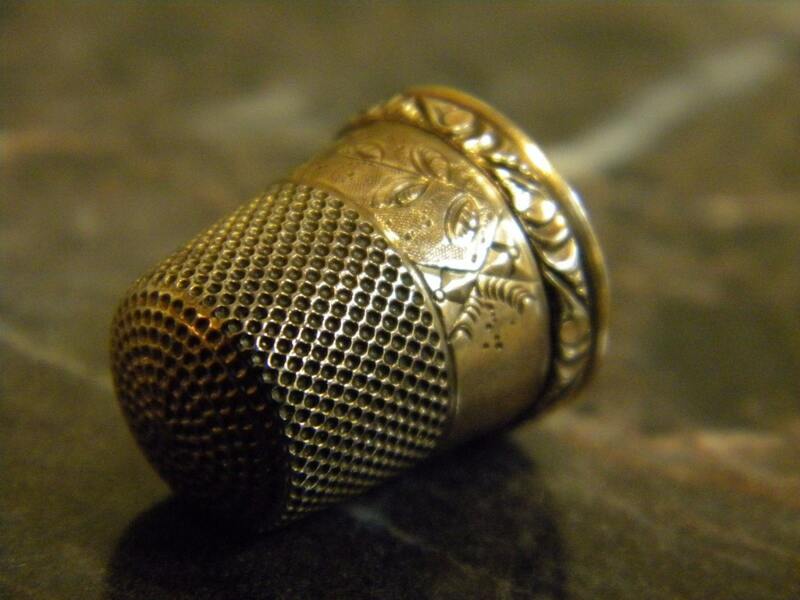 Vintage...9K Yellow Gold, Size 9 Etched Antique English Sewing Thimble. 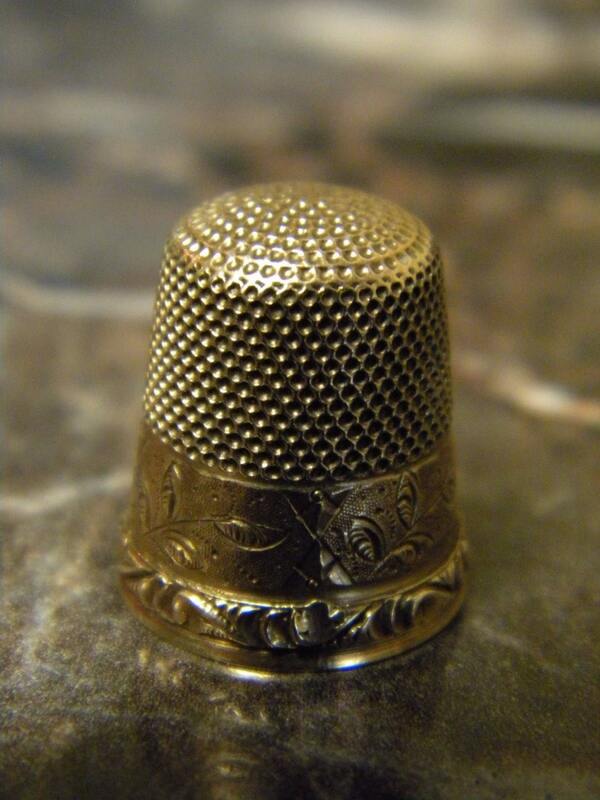 For auction is an Antique English Thimble, in 9CT Yellow Gold. 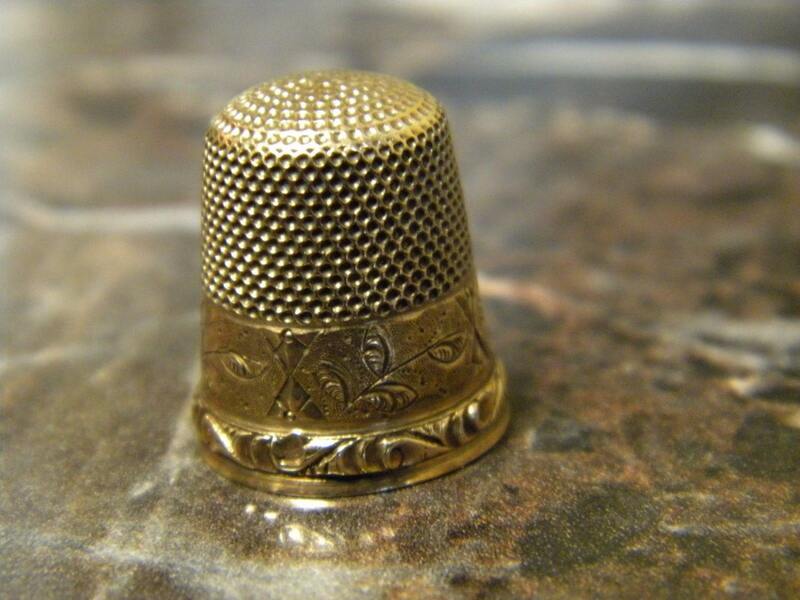 Thimble is marked Size 9 and Weighs 2.7 Grams - Not Hallmarked but has been confirmed as 9 Karat Gold. 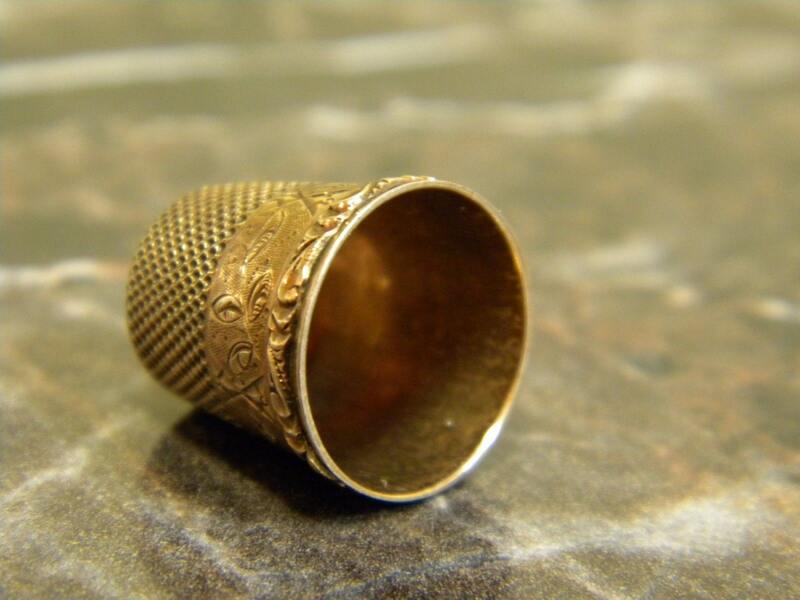 Small File Mark inside by Size Mark, has been tested with Acid and XRF to confirm Au content.